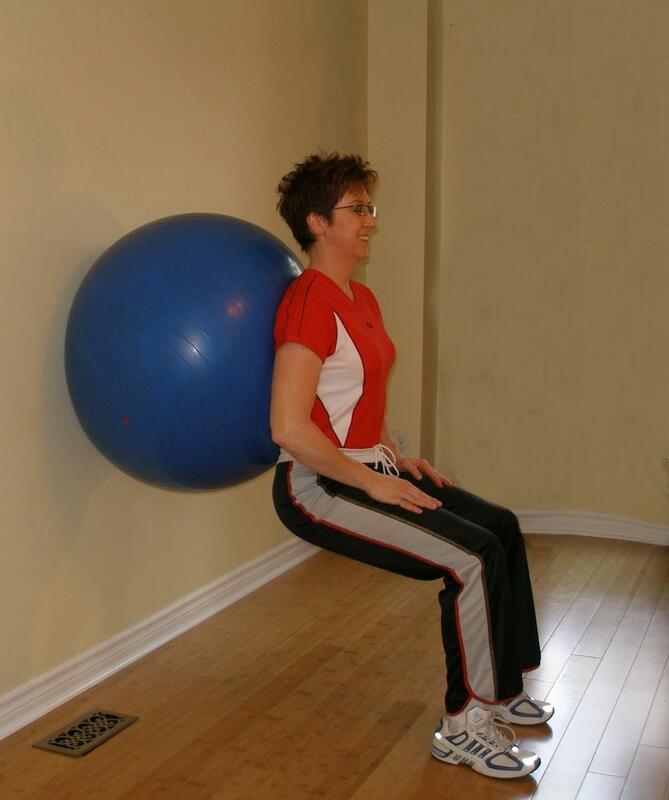 Put your exercise ball against the wall at about mid back height. Hold the ball between your back and the wall. Place your hand on your thighs, at your sides or cross your arms over your chest. Take a step out away from the wall. Place your feet hip width apart and maintain a neutral spine. While keeping your trunk stable and your chest up, slowly lower yourself down until your thighs are horizontal. Quadriceps, glutes, hips, and trunk. To avoid knee injury be sure that your knees do not move beyond the tip of your toes. Try Single Leg Side Squat. 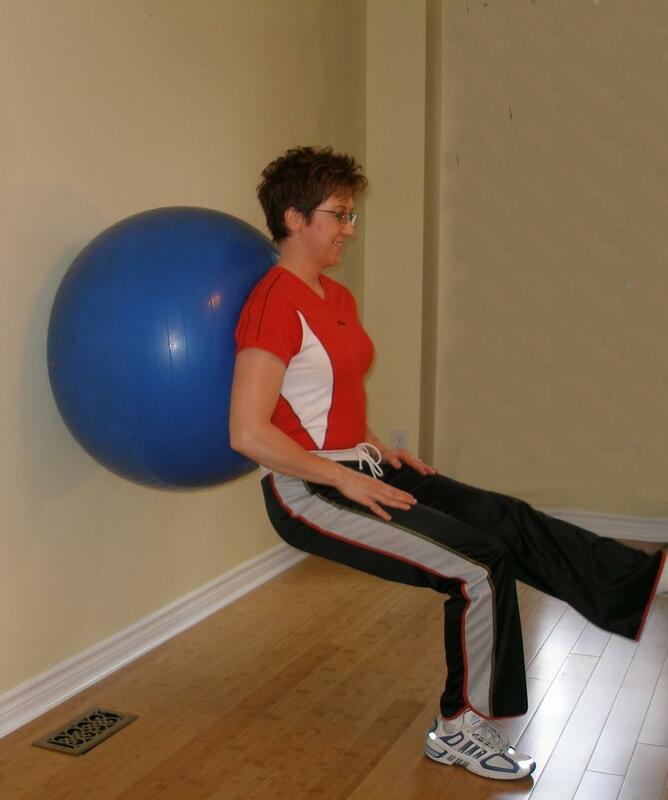 Try Squat Leg Raise (ball high). Hold this position for 30 seconds and repeat 3 times.